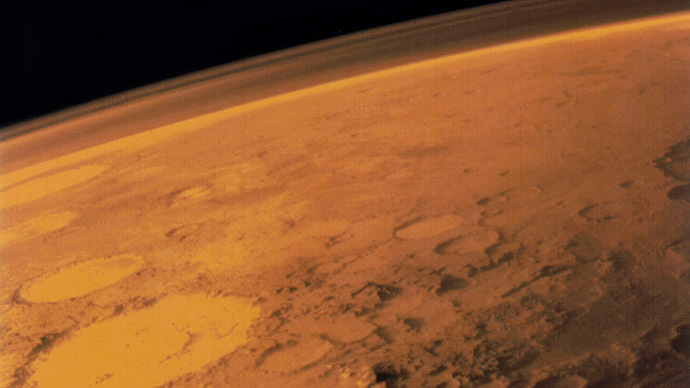 100 volunteers to venture to Mars as part of the manned mission to the Red Planet have been shortlisted this week. While the first mission is planned to include four people, one of the pioneers hopes to expand the colony by giving birth on the planet. The shortlist of candidates dreaming of getting a one-way ticket to Mars and becoming the first humans to settle on the planet was whittled down to just 100 volunteers this week. People from around the globe, including five Russians and candidates from such countries as the United States, Philippines, Denmark, Bolivia, Vietnam, Japan, Iraq, Ukraine and China, all aged between 19 and 60 years old, have made it to "The Mars 100." "I applied for Mars One because I wanted to make a difference in the world. I wanted to do something that I knew could inspire people to want to go into science, engineering and technology," Ryan MacDonald, an Oxford student in physics, told RT. Ryan, along with 99 other candidates, was chosen out of more than 200,000 people, who originally applied for a journey in the planned four-seat spaceship, announced by the Dutch Mars One NGO in 2013. In time, 24 finalists will be chosen out of the current hundred to get a chance to set up a permanent human settlement on the Red Planet by 2024. "We are not just going there in order to plant a flag, scoop some rocks, then bring them back to the Earth. What we are doing is bringing permanence to Mars, we're going to build a settlement on Mars, and that way we achieve a lasting legacy for the human race," the Oxford student told RT. The fact that the mission is a one-way trip "is part of the attraction of it," Ryan added. Another finalist, a 24-year-old astrophysics student from the English city of Birmingham, is already looking even further into the future, having suggested she might become the first woman to give birth on the Red Planet after creating a family with one of the other finalists. "I think it would be really amazing to be the first woman to give birth on Mars, because no research has got into the effects of gravity on a fetus. Nobody knows - if it all works, it will change medicine and knowledge for future to come," Maggie Lieu told RT. "When we first go to Mars it's not really gonna be a suitable place to bring up a child, but in order to create a human settlement it will eventually happen," she said, adding that a possible father might also be from the finalists' team, as the volunteers will have to spend all their time together, training for the mission. The girl does believe in Martians, but "probably in the form of microbs," Maggie said, so she doesn't rely on alien guests potentially expanding the Red Planet settlement. The Mars One pioneers are expected to undergo years of preparation, including technical training, acquiring wider knowledge and skills in engineering and medicine, as well as personal training to cope with the long-term isolation and learning to work as a team. The privately funded project, which is expected to cost six billion dollars, is already lined up to provide the backdrop for a new reality television series. If all goes according to plan, every move of the one-way mission pioneers will be broadcast for an audience of billions. "It will be as if Marco Polo had a camera on his journeys of exploration. Every human being with access to the internet or television will be watching," Bas Lansdorp, the founder and chief executive of the project, told the Independent. While the Mars One finalists are all excited about their daring mission, the project has definitely been met with skepticism in some circles. Critics say with the lack of funding and an absence of an actual spacecraft, Mars One is little more than a gimmick. But the doubters have done nothing to quell the enthusiasm of the potential candidates.